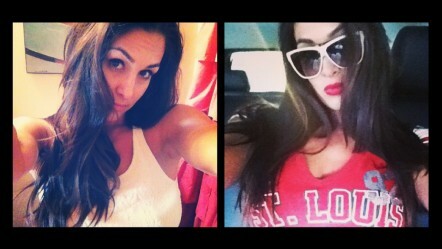 News » Nikki Bella to make the move into acting? Will we see Nikki follow John into the acting industry? There have been so many different wrestling stars over the years, who have decided to take a bit of a break from their full on wrestling career, in order to see if they have what it takes to make a name for themselves on the acting scene. While some of these wrestling stars have struggled to set Hollywood alight, there are others who have gone on to become ig Hollywood superstars, making the move to acting on a more permanent basis. One of the most successful recent wrestling stars to make a mark in Hollywood, would have to be the impressive star John Cena, who has already appeared in a number of different movie projects, with plenty more lined up for the coming years. John has been in a relationship with the beautiful fellow wrestling star Nikki Bella, with the couple dating since 2012 and confirming their engagement earlier in the year, with John proposing at Wrestlemania 33. With their being recent reports that John Cena has been trying to urge Nikki Bella to quit her wrestling career, over his concerns about her health, there have been suggestions that we could well see the stunning star also making the move into acting. Nikki certainly has the looks to shine on the big screen and, with John already making a big impression in Hollywood, he could well help Bella to get a foot in the door. There is no telling whether Nikki Bella would go on to become a Hollywood star but we would be all for her giving it a go, after all, she can't be as bad as some of the so called actresses we have in the acting industry today. Give it a go, Nikki, our have our support!